Mac McQuigg worked many years for the railroads and served Afton for some time. He is remembered well by many people of the area. 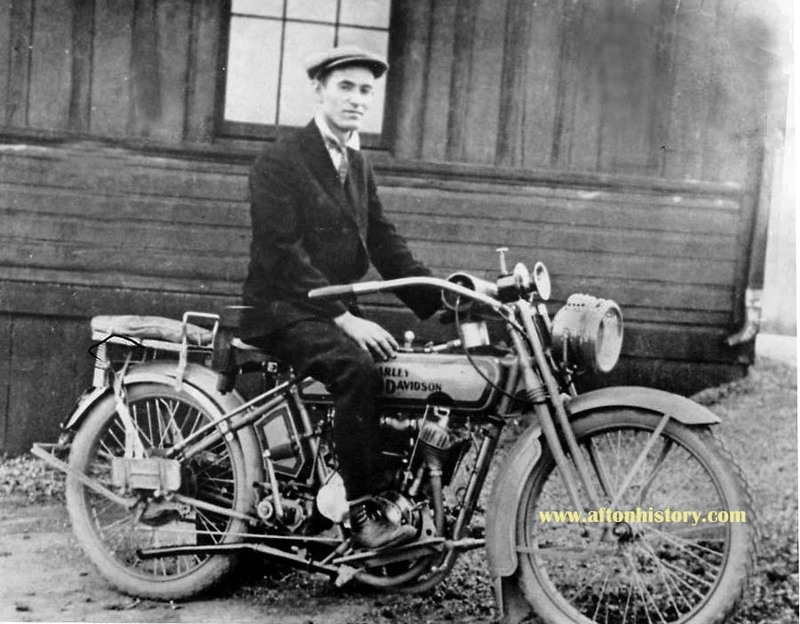 The photo above is of young McQuigg with his Harley Davidson motorcycle.